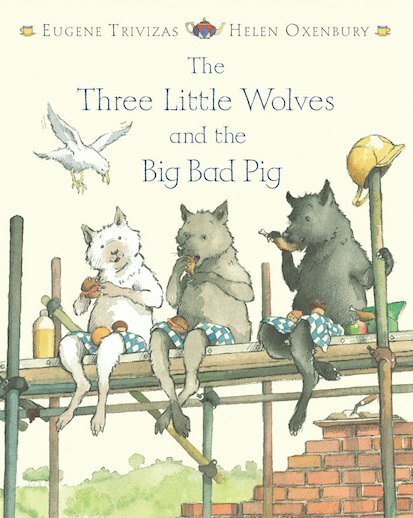 A brilliant retelling of the well-loved fairy tale, in which three little wolves have to contend with a treacherous big bad pig. Their brick and concrete houses are no match for his sledgehammer and pneumatic drill, and even their armour-plated home with a video entry system fails to deter him. It is only when they construct a rather fragile house made of cherry blossoms, daffodils, pink roses and marigolds that the pig pauses to smell the lovely scent, has a change of heart and becomes a big good pig… A wonderfully wry and thought-provoking story in which Helen Oxenbury’s hilariously detailed pictures are matched with a longer text to stretch confident readers.